New Canaan rising sixth-grader Sumner Orr gets big air at Nationals this past April in Colorado. Orr finished eighth overall in the 10-11 age group. NEW CANAAN—For 30 years, Michelle Orr and her family have been traveling to Vermont to ski. Her relatives and her all learned the sport by age five, so three winters ago when her son, Sumner, then seven-years-old, asked to try snowboarding, it was a bit of a change-of-pace. Not only has Sumner left skiing in his wake, but also the snowboarders he now competes against every season from December to March. 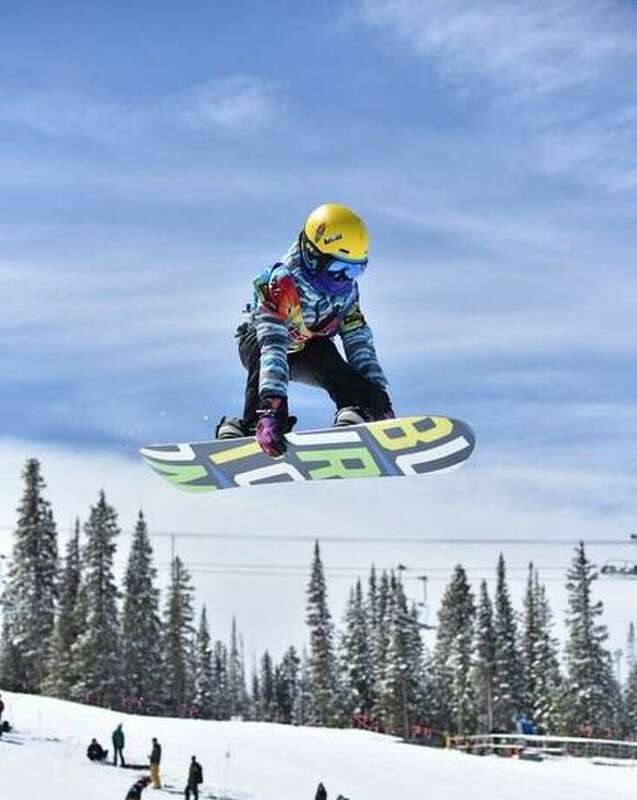 In just his third year of competitive snowboarding, Sumner placed eighth in the 10-11 age-group at Nationals this past April in Colorado. What’s hard for many, seems to come easy to Sumner. After winning a Mountain Dew Challenge in his first year competing, Sumner decided to focus on competition. The result was three medals two seasons ago, and an eye-popping seven in this previous run racing for the Okemo Mountain Snowboard Team. Sumner was invited to perform in all five events at Nationals—giant slalom, slalom, boarder cross, slope style and half pipe. His aggregate score led to the top-10 finish. In a time where technology is all the rage, especially with the youth of America, Sumner is the rare anomaly that has more old-school interests. Of course, there is no reward without a certain amount of sacrifice. Because of the hectic schedule, Sumner is forced to miss an abundant amount of school days each year, and Michelle must make the trek to Vermont every weekend to get her son to his competitions. The task isn’t enviable, but as a proud mother, she hardly minds. His success and happiness is a driving factor in why the Orrs have opted to purchase a residence in Vermont, and why they’re actively trying to sell their New Canaan home to make the change of scenery permanent. Sumner already has sponsorships from Donek Snowboards and Demon United, and, if he wants to reach his already lofty goals, an unrelenting dedication is necessary. With the combination of his youth, advanced maturity and natural abilities, the sky really may be the limit for this young athlete.